Objective: To develop a display which will provide the most advantageous display of goods in a trading outlet and will be convenient for the buyers. 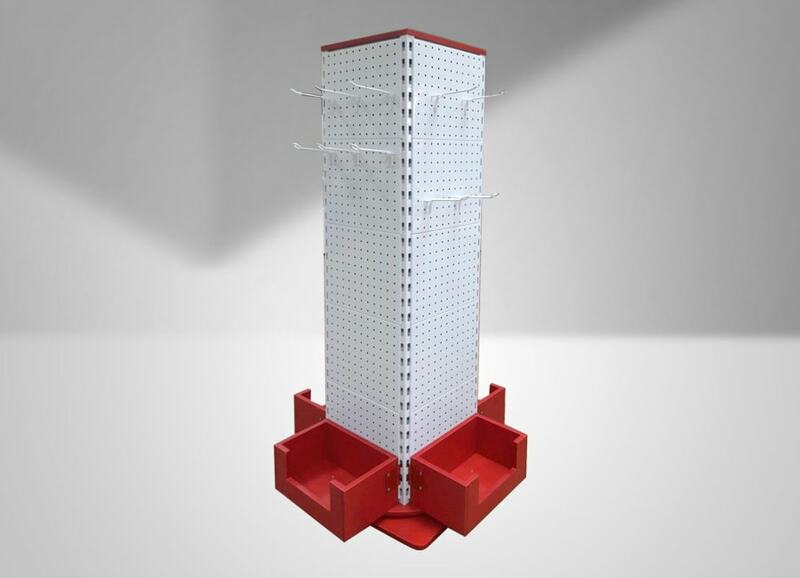 Producing an individual display , which is based on a rotating stand with perforated panels. Complete with a set of hooks, designed for goods of different sizes and shapes. This design allows for rational placing of maximum amount of goods in a minimal area. It provides a broad overview of all the products on display. The display of this shape has all the qualities required by the customer – mobility, compactness and versatility.